Here are links to some of the interviews and reviews. I was seven years old when I first joined the local public library. There were two sections; a small, brightly-lit corner for children, for which you needed a pink ticket, and a dark and cavernous adult section, a place of dust and shadows, into which I was not allowed, but which I viewed with longing. The first book I borrowed with my pink ticket was called Thunder of the Gods, by Dorothy G. Hosford, and it was a simple retelling of some of the more popular Norse myths. I read it all in an afternoon, then I read it several times more. Over the next year or so I took it out of the children’s library so many times that the librarian took pity on me and gave me a special dispensation and a blue ticket to the adult library, which contained many books on mythology. I read them all. I became fascinated by folklore, myths and legends from all over the world, although the Norse remained my favourites. For my ninth birthday, a friend of my parents’, a university lecturer with a passion for old editions, gave me a 1919 copy of H. A. Guerber’s Myths of the Norsemen. Lavishly illustrated with colour and black-and-white plates, each one protected by a sheet of tissue-paper; filled with poetry and prose from many different sources, this book was my most prized possession for years. I read it many, many times, and then I read all the source books listed by the author. This began what turned out to be a lifetime of unofficial research; into the Eddas, the poetry, the stories, runes, beliefs and language of the Norse people. It also started me writing myths and legends of my own, many of them based on the figures that I had come to know and love. There’s something unique about the Norse myths, something that makes them especially fertile soil for the imagination. Perhaps it’s because the myths are so frustratingly incomplete, pieced together from fragments of poetry, old inscriptions, re-interpretations and stories from the oral tradition. Perhaps for me, some of the appeal is the fact that my roots are in Yorkshire, which has been profoundly marked by the culture of Viking settlers. But I think the strongest appeal comes from the characters of the gods themselves; those troubled, imperfect, complex beings whose personalities seem to leap from the page and whose interactions seem to reflect, not so much the nature of the divine, but everything about being human. And so, at nine years old I began to write and illustrate stories about the Norse gods. Of course I had my favourites; Loki being the foremost. Why Loki? All the books I’d read showed him in a negative light. And yet he seemed to me to be the catalyst for all the best tales; a wild and mercurial character whose shift from cheery practical-joker to murderer and sociopath reflects the rise and fall of the gods. My original Loki was the essential Trickster. My earliest drawings of him showed a little boy with long hair riding an oversized skateboard (rather like Bart Simpson, in fact, twenty years too early), playing jokes, taunting the gods and generally causing chaos. Later, as my stories grew more complex, he became a troubled adolescent, brooding and resentful. 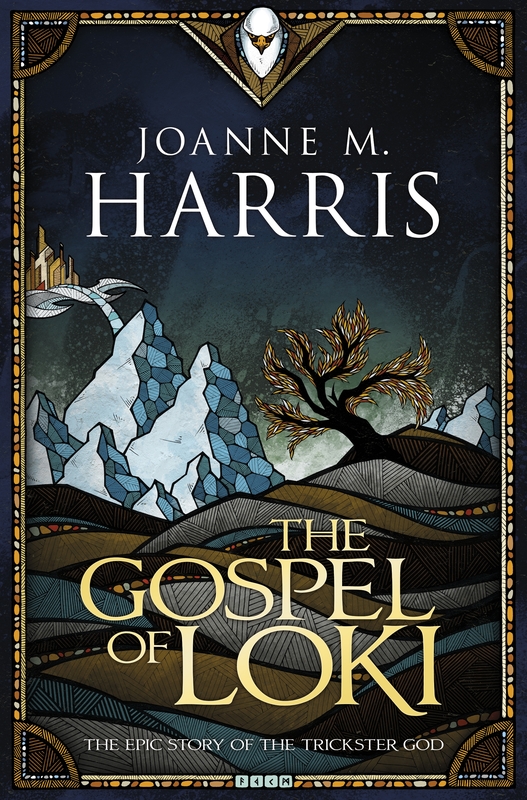 Now in the Gospel of Loki (and in my two earlier Rune books), I have tried to reconcile some of history’s conflicting views of this controversial character, whilst creating a story of my own that runs alongside the original myths. Unlike some myths from other cultures, the Norse myths have remained very accessible and understandable to modern sensitivities. Loki, especially, seems to me to be a very modern individual; riddled with insecurities; a perpetual outsider. That’s why I chose to make him the hero of my new book. During the course of the last century, the concept of heroes and villains has become increasingly ambivalent. We have come to enjoy anti-heroes; those complicated, flawed characters who often exist on the fringes of normal society. We are no longer entirely satisfied by the archetypes of story, the whiter-than-white heroes and the villains with no redeeming features. Thus Loki satisfies our need to identify on a more human level; his flaws are very believable, and of all the Norse gods he seems to me the most modern. His moral and sexual ambivalence; his inability (or refusal) to integrate into Asgard’s society; his outcast status; his subversive temperament; his changes of mood and his almost existentialist sense of humour make him very accessible to a modern audience. He portrays the insecurities of modern adolescence; the sense of not belonging; the need to make an impact, even a negative one, onto the world of adulthood (represented by Odin and the other gods). And of course, he is very funny; lifting what would have been a very stolid and serious pantheon into something much livelier and more human. Of course, to some extent I am projecting my own interpretations onto the original myth. But then, people have been doing that for centuries; from Snorri to Wagner, through Kevin Crossley-Holland, Tolkien, John Gardner, Sandman and Marvel Comics. I don’t think it’s an accident that the gods of Asgard have remained such favourites among writers, artists, musicians and film-makers for so long. The myths are filled with human drama; conflict; passion; humour; fear. 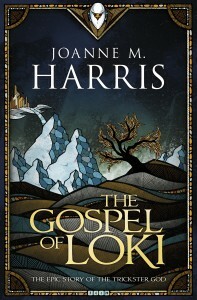 They resonate very deeply with us, and Loki is a particularly rich source of story material. That’s why in the Gospel of LokiI have chosen to give him a voice, as well as to try to provide some insight into what drives him to act as he does. It’s not quite a retelling of the Norse myths, although I have drawn extensively from them. Instead it’s more like a version of Rosencrantz and Guildenstern are Dead, in which Stoppard takes the story of Hamlet and retells it from behind the scenes, from another point of view. It ties in with my Rune books, too, explaining in more detail the events preceding Ragnarók and paving the way for more books about the Runemarks characters. In a way, this little book has taken over forty years to write. It’s for the child I used to be and the adult I’ve become; for my daughter; for all the fans of my Rune books; for the librarian who gave me the blue ticket and for all the people who have yet to discover the world of Norse mythology. Here’s your ticket. Welcome on board. I hope you enjoy the ride as much as I did. 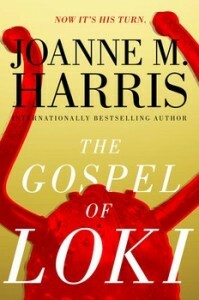 Q: How closely is The Gospel of Loki related to your Rune books? And should I read them first? A: It’s a prequel to my Rune books, but can stand entirely alone. Q: So… is this book adult fiction or YA? Q: Will there be more in this series? Q: Why did you choose to write another retelling of the Norse myths now? Hasn’t it been done lots of times before? A: It isn’t just a retelling of the myths. It’s a return to a series of legends that have influenced art, literature and music over many centuries. In artistic terms, we have a habit of taking what we need from our folkloric heritage at any given time. The 19th century re-visited Norse myths with an emphasis on heroic, noble deeds. Nowadays we’re more interested in ambivalence, in antiheroes, in existential questions. The myths are rich in all of these things. Q: Why have Loki as a first-person narrator? A: Because he’s the ultimate unreliable narrator – and because I knew I’d enjoy writing his voice. Q: Was it hard for you to ignore all the other recent material inspired by Norse myth? Marvel Avengers, for instance? A: I’ve been imagining these characters for myself for such a long time that I don’t think anyone else’s vision is ever likely to overpower mine. Q: There are lot of different versions of the Norse myths. Which one did you use? A: I’ve used a combination of several sources, but the Prophecy of the Oracle is my own (slightly abridged) verse translation of Völuspá. Q: How much of this book is actual mythology, and how much is your own invention? A: I’d say it’s about 75% true to the original source material. The rest has been elaborated, expanded, reshuffled and otherwise shaped from a collection of fragments into a more or less coherent whole.